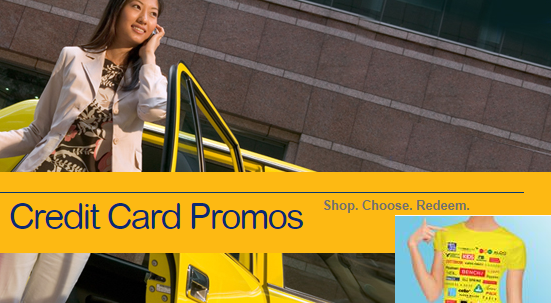 Redeem FREE Bench GC w/ BDO ~ Philippine Freebies, Promos, Contests and MORE! Make shopping a habit and redeem FREE Bench GC whenever you use your BDO credit card. Spend as low as P3,000 and be entitled to a P100 GC. A single-slip transaction worth P15,000 will give you P500 GC. Only one (1) redemption per qualified charge slip is allowed but you can make a maximum of five (5) redemptions per partner per day. To get your GC, simply present your card and surrender your charge slip transaction at participating Bench stores. Enjoy using it when you purchase at Bench, Herbench, Superbench, B/Tweeners, Bench Tofu, Bench To Go, Pinoy Lab, Aldo, or at any participating Bench affiliate store nationwide. Present your card and surrender your charge slip transaction at participating Bench stores.